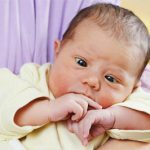 A baby can be infected with staph infection in the womb, while passing through the birth canal, in the hospital or at home (if hygiene is not respected). This infection can also be transmitted through breast milk, causing dysbacteriosis. Read more about Staphylococcus in breast milk. Staphylococcus manifests itself in different ways. Symptoms of staph infection will depend on where the staph lives and on its type. MRSA is the most dangerous type of Staph infection. Staph infection symptoms can easily be confused with symptoms of other diseases. The symptoms of staph are all visible and noticeable, but they are very often confused with ordinary skin rash, common colds or dysbacteriosis. So the staph in kids can only be detected with the help of laboratory tests. Common complications of staph infection are: osteomyelitis, pneumonia, deep abscesses, endocarditis, toxic shock. 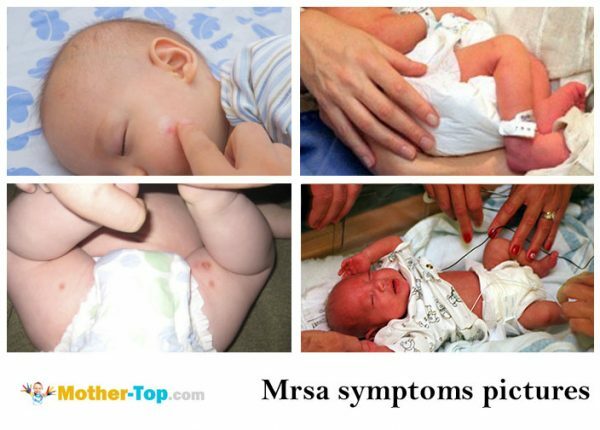 The symptoms of MRSA are the same as the symptoms of any other staph infection. 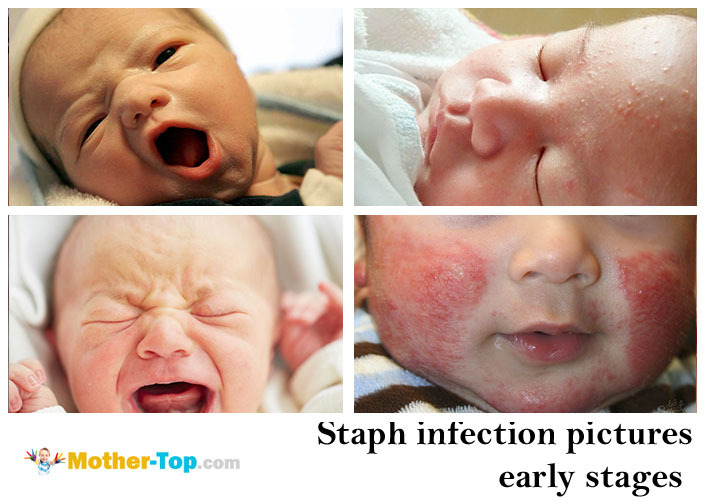 Staphylococcus aureus treatment in infants is a very complex and lengthy process. 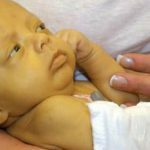 The infant with MRSA infection symptoms must be urgently hospitalized. 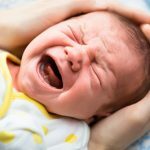 As a rule, in most cases sulfa drugs and antibiotics, enzymes, probiotics and various vitamins help to combat Staphylococcus aureus in infants.